Don't have the documentaion you need for traditional business fiance? Everyone hates paperwork. Especially when it’s holding you back from something really important like a small business loan. 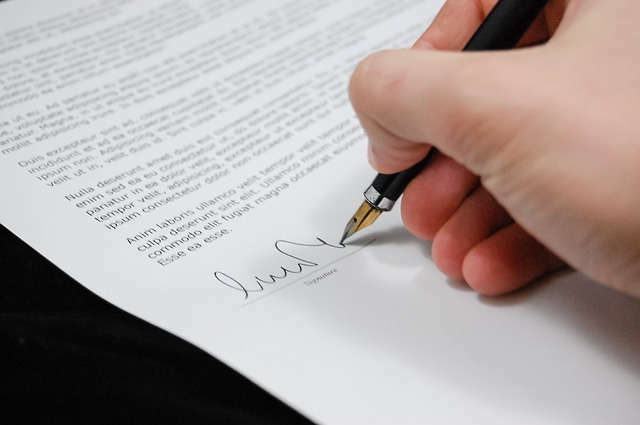 The days of simply signing on the dotted line is long gone. When it comes to banks, a small forest is apparently cut down to provide the paper for every time a client needs to take out a loan. A low doc business loan is the solution. The amount of documentation that many banks require for even a small loan, however, isn´t just a tedious requirement that you have to work through in order to receive the money. It is also a tool that the bank uses to filter out ‘qualified’ and ‘unqualified’ borrowers. While it is understandable that banks want to protect their money and safeguard their business from potential legal setbacks, the excessive amounts of documentation required often times makes it unnecessarily complicated to get a loan. What Docs Are Required for a Traditional Business Loan? For most business loans banks will usually require the normal legal paperwork related to the company, detailed accounting paperwork, a thorough and comprehensive business plan, and sometimes other legal or financial documents. The problem is that most small business owners are one-man-teams that don’t have time to spare. For example, a self-employed freelance writer might delegate the accounting for his business to a few calculator clicks on his smartphone. The bank, however, might want to see a detailed accounting report of the last eight months of his or her business operations. Not a lot of small businesses start their journey with a solid well written business plan. To get financing; however, many banks will require this sort of documentation. Taking a week off your daily business routine just to put together a quick business plan to appease the bank is not exactly an optimal use of time, especially with the millions of mounting tasks that come with running your own business. Similarly, paying a professional accountant to put together some basic accounting infrastructure for your self-owned business just to get the small business loan you have applied for is an added expense and should be looked at as yet another hidden fee associated with the loan. When a small business owner or a self-employed individual needs access to a financing, but simply doesn’t have the documentation that the loan officer at the local bank is asking for, what’s left to do? Low doc business loans or no doc loans offer a fantastic opportunity for small businesses and self-employed people to gain access to needed capital. Low doc loans are essentially the same as regular business loans, with the difference being that they don´t required the same amount of financial statements, documents, and other paperwork that traditional loans require. In most cases, low doc business loans can be used for a number of different business purposes to help small business owners expand their marketing reach, expand their business, or refinance their existing debt. The most obvious benefit of low doc loans is that they simplify the process of applying for a business loan. While you most likely will not be able to apply for a large loan in order to start up your dream company, most low doc loans are available to existing businesses. In addition, the vast majority of low doc loans or no doc loans are unsecured loans. This means that you do not have to provide the bank with any sort of security or collateral (resulting in less documents). Despite the fact that low doc loans require no collateral and have limited documentation requirements, with the right research you should be able to find several lending agencies that offer low doc loans with competitive rates and terms. Lastly, low doc loans can many times be applied for over the phone or internet, thus reducing even more the amount of time needed for the application process. If your business is in need of a quick loan to capitalize on an unprecedented and unforeseen business opportunity that suddenly comes up, low doc loans will most likely be the quickest option to help you get the funds in a timely manner. As with any loan you apply for, you do need to take the time to read through the fine print. It certainly pays to do your research, as there are hundreds of lenders in Australia offering low doc loans. If the thought of spending hours on the internet searching for lenders or driving through town and stopping at every bank is not appealing to you, Ebroker has a helpful online tool that will allow you to compare the rates, terms and conditions of several different low doc business loans offered by several lenders. Business Fuel is an innovative product. A Cash Advance based on the strength and consistency of your business. Capify has pioneered unsecured alternative business finance in Australia since 2008. Speedy Finance is the finance company of choice for Australians for fast business loans. Finstro, the complete cashflow management system that helps you take control and grow your business. Please try again some things whent wrong.